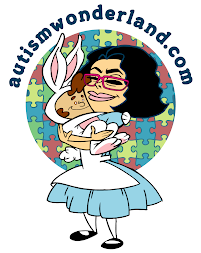 I'm excited to share that every 27th of the month, I will be posting on Special-Ism - a wonderful new website for special needs parents. Special-Ism was created by Tiffani Lawton and Danette Schott. If we're friends on Facebook you may know that I took The Boy to the Dentist earlier this month. It went so much better than I anticipated. But I was prepared. And since February is National Children's Dental Health Month - I wanted my first post on Special-Ism to be about our first trip to the dentist. You can read it HERE. And a BIG thanks to Alissa Moseson of Sprinkles of Hope for helping me write my social story. I will upload a printable later this week of our dentist social story. And to my fabulous FB friends: Melanie, Teresa, Homestyle Mama, Blessed by Autism, Rosyniah, Jennifer, Kellie, Our Special Families Village, Jen, Kerenna, Beth Allison, Elsa, Jen C, Tiffany and Christine - Thank you for sharing your thoughts, suggestions and support!